ASX ag-tech cannabis play, RotoGro International (ASX:RGI), was up a little over 10% on the back of some intriguing news on Monday. Fellow pot-stock, Affinity Energy and Health (ASX:AEB), which is the latest medical cannabis play to receive approval to establish a medicinal cannabis cultivation and manufacturing facility in Malta, has elected to use RotoGro’s patented hydroponic technology. RGI's proven tech is key to AEB’s plans. This technology can allow for up to nine times the surface area for growing compared to traditional growing techniques, while allowing for 5.5 harvests per year. Affinity will be allotted 2200 square metres of industrial land to construct and operate a fully automatic, controlled environment, hydroponic cultivation, manufacturing and distribution facility. The number of ASX companies granted such approvals is fairly short at this stage — this news therefore represents a considerable milestone for AEB. C$7.5 billion-capped Canadian weed producer, Aurora Cannabis (TSX:ACB | NYSE:ACB), is among an exclusive group of companies that were issued a letter of intent by Maltese investment body, Malta Enterprise. RGI’s technology can achieve these kinds of results through the use of stackable, rotating growing beds that are expected to produce 3000kg of cannabis bud per annum once all units are installed. AEB’s facility will have an initial 15 growing units, and will meet the EU good manufacturing practice (GMP) standards. It also expects to expand to 175 units over the next three years. RGI updated the market in early November regarding the ongoing trials afoot at its state-of-the-art research and development facility in Ontario, Canada. The key news revolved around significantly increased cannabis yields, which have consistently outperformed traditional ‘flat deck’ style systems occupying the same floor space. To date, pot grown with the RotoGro Hydroponic Garden System has consistently yielded 7–9 pounds (3-4kg) of dry final flower product per harvest. This compares to 2.8 pounds (1.3kg) typically achieved with flat deck systems. The ASX small cap designed and built the Ontario facility in order to cultivate both pot and perishable foods, via the use of two grow rooms – an on-site laboratory; germination and propagation rooms; and lastly, a control centre for the remote monitoring of growing facilities around the world (a component of RGI’s growing management services). AEB’s Maltese approval complements its global medicinal cannabis strategy which includes strategic alliances with key industry bodies and R&D partners. Affinity's application for an Australian medical cannabis licence is also currently being processed by the Australian government. Separately, it is working with Austrade and Colombia’s ProColombia to submit a licence application for the cultivation, manufacture and sale of medical cannabis in Colombia. 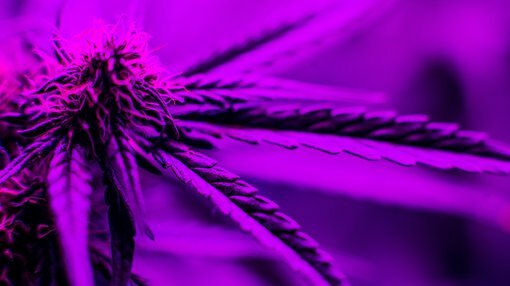 AEB also recently executed an MoU with The University of Sydney in August to support its medicinal cannabis research and development activities in Australia.